Diagprog 4 is the most powerful and advanced scanner, tester and programmer capable to read, erase DTC errors, program mileage and motohours and more. Diagprog 4 FULL only 5999 EUR! This is the time limited offer and it’s valid until the September 24th 2018. Shipping starts from September 11th 2018, you can preorder now to get your DP4 as soon as possible. Diagprog 4 is the latest generation device from Diagprog series. 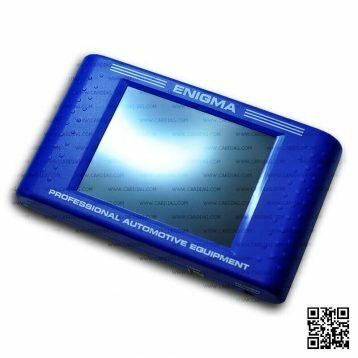 It is the most advanced and most powerful diagnostic tester and programmer available on the market. Diagprog 4 is a successor of famous Diagprog 3 tester. It supports an extensive range of various vehicles, and it supports a wide range of communication protocols, and it is straightforward and safe to use. DP4 can communicate by using these connection protocols: SAE J1850 VPW, ISO 9141, ISO 14230 (Keyword 2000), ISO 15765 (CAN bus). 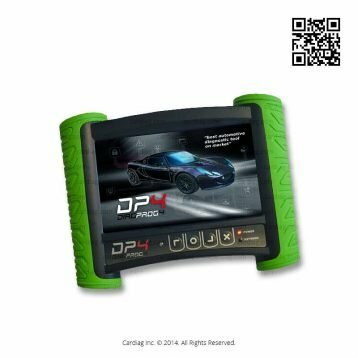 DP 4 can read and erase OBD system errors DTC’s. This tool can work with various EEPROM chips and FLASH memories. 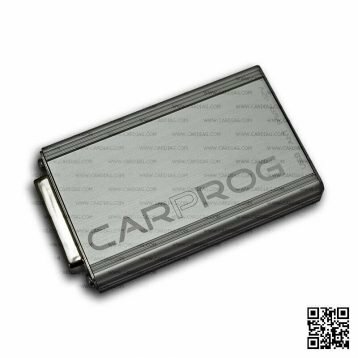 The best and most popular functions of all Diagprog devices are capabilities to program mileage and motor hours on an extensive range of supported vehicles. We need to mention that DP 4 can save you a lot of time and money because it can make a lot of functions straight through OBD connection and only some of the supported vehicles will require more effort with disassembling of dashboards and some soldering. 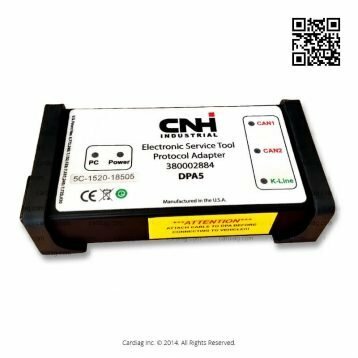 Reading and erasing diagnostic faults (DTCs) in OBD system. Language alteration for the dashboard and other modules. Reading and erasing of advanced service history. Reading and writing EEPROM memory via diagnostic connection (all parameters). Reading and programming FLASH memory via diagnostic connection (tuning). Programming of immobilizers, keys and remotes. Programming electronic modules after repair or change. Easy, fast and safe programming for a wide range of vehicles. Anti-lock Braking System pump (ABS). Immobilizer (anti – theft control, alarm system). Body Control Unit (BSI , BCM) computer (responsible for windows/mirrors, central locking). SRS airbag (responsible for airbag control). Central diagnostic gate (Gateway, ZGW), responsible for diagnostics and new modules configuration. Tire Pressure Monitor (TPM – module responsible for tire pressure control). Diagprog 4 was last modified: September 24th, 2018 by Cardiag Inc.